Bharti Airtel, the telecommunications operator under Sunil Bharti Mittal, attaches great importance to its content. In such a competitive telecoms market, where data rates have become nearly the same for all operators, these content offerings differentiate companies. Therefore, competition between these companies is tough to determine which of the companies offers their customers the most complementary gifts and services. In a recent development, we discovered that Airtel is testing its Airtel TV webcast service. The telecommunications company is already offering Airtel TV the video content application on request of its subscribers. However, the telecommunications company will now also use this content on the Web. We believe that this new Airtel movement has been designed for JioCinema and other competing OTT applications. It's important to note that just as Airtel subscribers have access to Airtel TV's large selection of films, TV shows, and documentaries, Reliance Jio also has a portfolio JioCinema app that allows subscribers to access this website, Content as free. The new unique service is that it is accessible via the web, not just smartphone apps. Previously this was not possible and the user could only transfer the content of the Airtel TV application on small screens. The only way to deliver this content on larger screens might be Chromecast. Fortunately, Airtel's subscribers do not have to go through these hardships to display Airtel TV content on a larger screen. You can access the web version at https://www.airtelxstream.in/. Airtel subscribers can connect to the Airtel TV website, where they can access Airtel TV content from their laptop, tablet or any browser. When Airtel subscribers open the site and play a program or movie of their choice, they are prompted to enter their number. You will then receive a one-time password to connect to the site. However, Airtel does not offer all content available on Airtel TV in the desktop version. For example, the web version does not contain ZEE5 content. However, the telecommunications company may add these as soon as the service is open to the public. In addition, the live TV service is not in the expected web version. Subscribers should be aware that the Airtel TV app is not limited to movies or TV programs, but also offers live TV programs to users. Airtel TV currently offers its subscribers 373 channels, including 62 HD channels. In addition, the app offers viewers more than 10,000 movies. 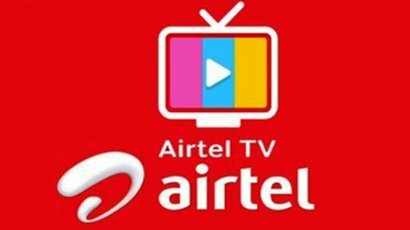 The Airtel Free TV Streaming TV app also has an advantage over the JioCinema app because it is a stand-alone application that hosts LiveTV channels and video-on-demand content as an OTT platform. However, this is not the case with JioCinema because the app uses only movies and programs. However, if you want to Watch Live Cable TV Online Free, you will need to download the JioTV app.